White: Coke's number one fan? 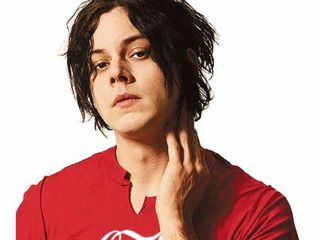 Coca Cola will be using an instrumental version of Jack White's theme song to the latest James Bond film for a new Coke Zero advertising campaign. Written and produced by White, Another Way to Die is a collaboration with Alicia Keys, the first duet in the Bond film series. The song will released in the UK on October 28th, just days before the film's premier. The song will be used in Coca Cola's new advert for Coke Zero, which will be renamed Zero Zero Seven in order to promote the new film, Quantum of Solace. Yesterday, Guardian News gave an exclusive preview of the new ad; click here to check it out. This is not, however, the first time Jack White has been involved with the soft drinks giant. Back in 2006 he wrote one off track What Goes Around Comes Around for another Coca Cola advert. Click here to have a look.